Air pollution is only in the outdoors – the smoke from factories, fumes from motor vehicles and other chemical emissions, right? Wrong. Air pollution is not just an outdoor phenomenon; it exists even inside your home. You can’t lock it out of your home. In fact, as per an EPA study, indoor air is 10 times more polluted & dangerous than outdoor air. Shocked? Over 2.63 crore Indians suffer from chronic respiratory disorders because of indoor air pollution. How? Well, because of the amount of time we spend indoors, the quality of the air we breathe has a significant impact on our health. The presence of toxic gases, dust, bacteria, virus, pollen, pet hair and dander, and several microscopic respirable particles cause of a number of allergies, heart problems and respiratory disorders. Short term problems such as headaches and tiredness are also known to be a result of indoor air pollutants. Highly prevalent among children and the elderly, it’s important to ensure that the air we’re breathing at home is truly pure and healthy. Many believe that air conditioners can help. But this is isn’t true. Air conditioning often just circulates indoor air without doing anything to improve its quality. Keeping your windows open and improving the ventilation in your home can help you better the quality of air indoors. Ensure that your friends and family don’t smoke at home. Smoke can be one of the primary causes of respiratory disorders, not just for the smoker, but for everyone around as well. Make sure your home is cleaned regularly and doesn’t accumulate dust and dirt even in places that are hard to clean. Several house plants are also known to filter air and improve air quality. 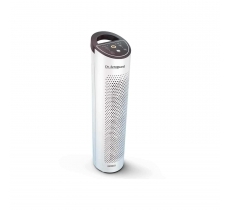 However, the best way to battle air pollution is to bring home an air purifier. Dr. Aeroguard air purifiers from Eureka Forbes use patented Active shield technology to ensure the air you’re breathing is 99.9% pure and healthy. 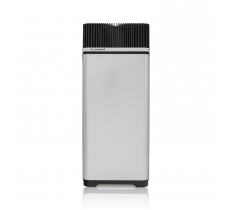 These German GUI Lab certified air purifiers eliminate every impurity while also releasing a blend of vitamins, silver ions, negative ions and diatoms to revitalise indoor air. A complete solution to breathe healthy! So what are you waiting for? Protect yourself and your family from the hazards of indoor air pollution. To make sure the air you’re breathing is truly safe and healthy, bring home an air purifier today. Request our experts for a free home demo to make sure you’re making the perfect choice!